New Yatterman series to commemorate the 40th anniversary of Tatsunoko's Time Bokan series. Under Dokurobei, the boss of the Dorombo thieves that existed, lies a beauty named Doronjo. The two men, Boyacky and Tonzura, worked under Doronjo but got kicked out from the Yatter Kingdom along with the Doronbo thieves as they lost a fight against the Yatterman. 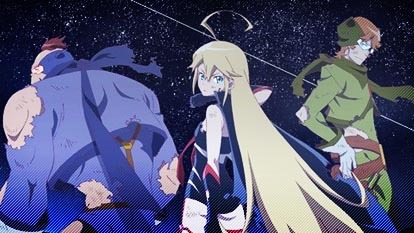 This is the new generation of Dorombo Doronjo, Boyacky, Tonzura, and new Yatterman a story of the birth of Gan-chan and Ai-chan.